Strong storms packed with lightning rolled through Chicago Saturday night, forcing an evacuation of the Lake Shake Country Festival on Northerly Island. 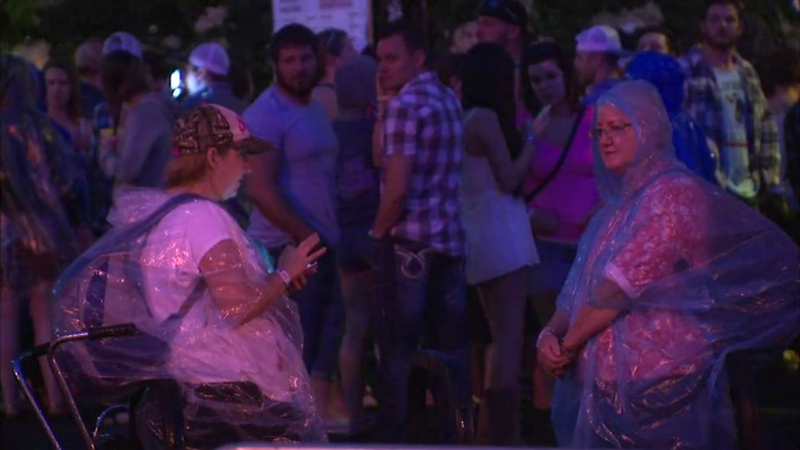 CHICAGO (WLS) -- Strong storms packed with lightning rolled through Chicago Saturday night, forcing an evacuation of the Lake Shake Country Festival on Northerly Island. The concert has been postponed as more storms threaten the area. Singer Brad Paisley, scheduled to perform Saturday night, will now perform on Sunday, the concert organizers announced. Rain continued to fall in the city Saturday night as some of the heavier storms were off to the west southwest of the city. 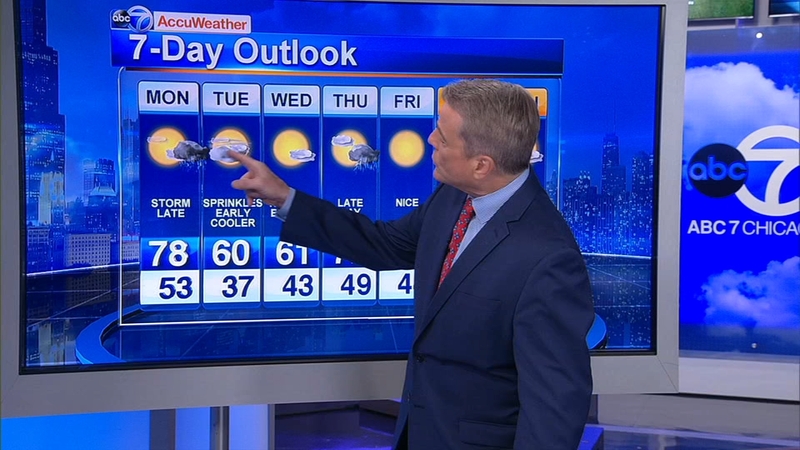 "The showers and storms will diminish overnight and overall you're going to like the forecast as we head into Sunday's Father's Day," said ABC7 News Meteorologist Phil Schwarz. Cloudy and warm Monday with storms late and highs near 80.